Kia ora. How are things Ōtautahi? We hope you’ve managed to stay cool, enjoy some downtime and had some magic moments with friends and whānau over the summer break. Read on for some ideas, inspiration and food for thought on getting your year off to a roaring start. Moments that matter competition time!! We want to see all those amazing moments that mattered to you over the summer break. The days at the beach, catching up with family and friends, Christmas kai and backyard cricket. Those are the things we remember the most. Post a photo to the All Right? Facebook page and tell us why you loved it, and be into win a Family Fun Day pass to Hanmer Springs Thermal Pools and Spa. We'll chuck in $100 fuel vouchers to get you there too! Entries close 5th February. Mental health is not mental illness. That is so commonly misunderstood... we so often hear about people who are unwell because they have ‘mental health’. Mental health is something we all have. And just because there are ways we can improve our physical health (exercising, sleeping well etc), there are things we can do to improve our mental health too. Find out more about how you can improve NZ's mental health. If your resolution has fallen by the wayside don’t lose hope – you are not alone! Around 80% of resolutions fail before the second week of February according to US news. The good news? There’re a few hacks you can use to drastically improve your chances of making a new positive habit stick. Find out more about making a new habit stick. There’s lots of great free events across our region to help you celebrate our national day - 6th February. Check out the Christchurch City Libraries website for what’s going on in Ōtautahi on Waitangi Day. Waitangi Day is a great opportunity to connect with your whānau and culture. 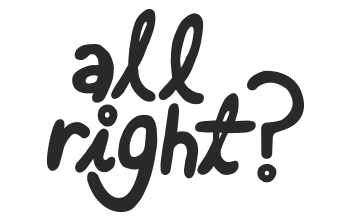 All Right? have created seasonal whānau activity cards to make this easy – they are fun, free and for everyone. When our kids have sleep issues, it’s challenging… for everyone, especially when it's this hot! But rest assured, things can get easier. We’ve created some handy tips on pre-bedtime activities, bed time routines, waking in the night and other nocturnal challenges. We've developed a directory to increase whānau accessibility to Māori healers and wellbeing practitioners. We teamed up with Te Putahitanga o Te Waipounamu and ‘Tū Pono - Te Mana Kaha o te Whānau to do this. Late last year All Right? released research showing that our wellbeing messages are benefiting those requiring specialist mental health support. There’s a misconception that wellbeing promotion is for people who are currently well. This evaluation shows that wellbeing promotion also benefits those experiencing poor mental health too. Mindfulness is all the buzz at the moment – and for very good reasons! A recent study in the USA found that practising mindfulness prevented a group of people from dishing out hot sauce to their enemies. In other words, those practising mindfulness were less likely to be vengeful when provoked. Visit the All Right? website for more on mindfulness, including how to be mindful in the shower. We're always keen to hear your stories, thoughts and ideas. Get in touch with All Right? Follow All Right? on Facebook. Follow All Right? on Twitter. Follow All Right? on Instagram.